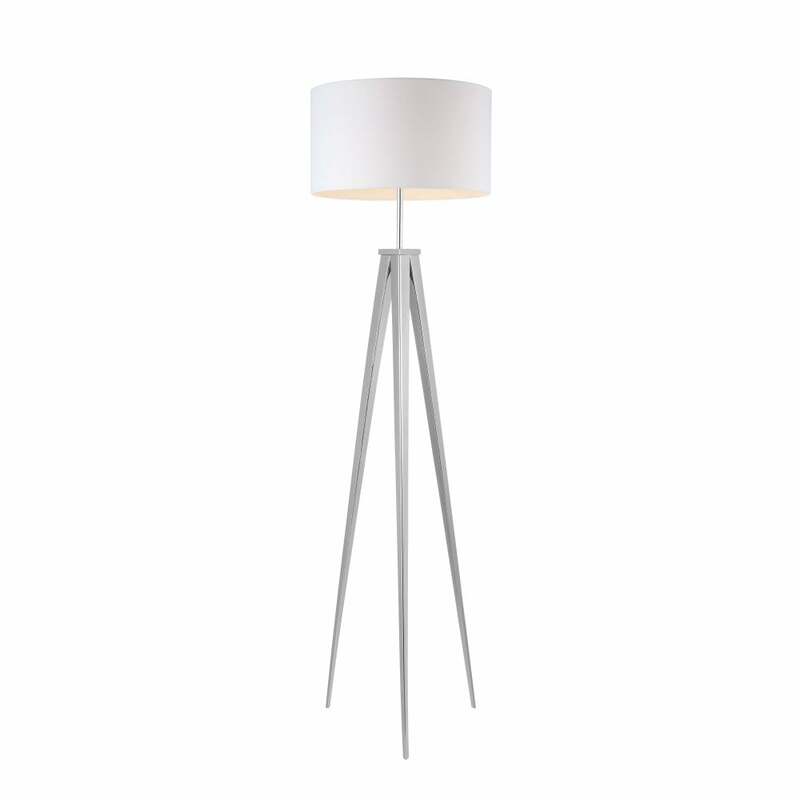 AZzardo Sintra single light tripod floor lamp in polished chrome finish with white fabric shade. The product code for this fitting is AZ2412. Featuring a modern, tripod frame in a polished chrome finish. This 'Sintra' floor lamp will provide a perfect lighting solution to any suitable room in your home. The white fabric shade is sits on a slim rod which separates it from the elegant base beautifully and creates an elegant style to your home interior. This fitting comes from Europe so please allow 10-14 working days for delivery. The Sintra floor lamp is also available with a black or grey shade, both of which can be viewed and purchased via our website.